Below are separate CMOs or Commission on Higher Education Memorandum Orders No. 38 and No. 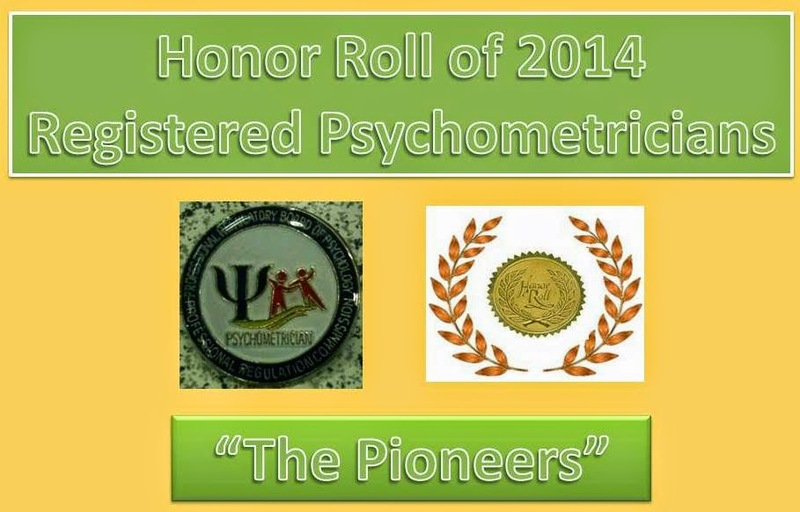 39 made in 2010 for the Policies and Standards for Undergraduate and Graduate Programs in Psychology. 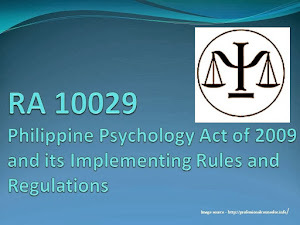 Some schools are not following the said Memo up to know and even after the issuance of RA 10029 or the Philippine Psychology Act of 2009 that governs the Board Licensure Examination for Psychometricians and Psychologists (BLEPP). So their graduates would have to re-enroll to other schools just to fulfill the board required subjects. 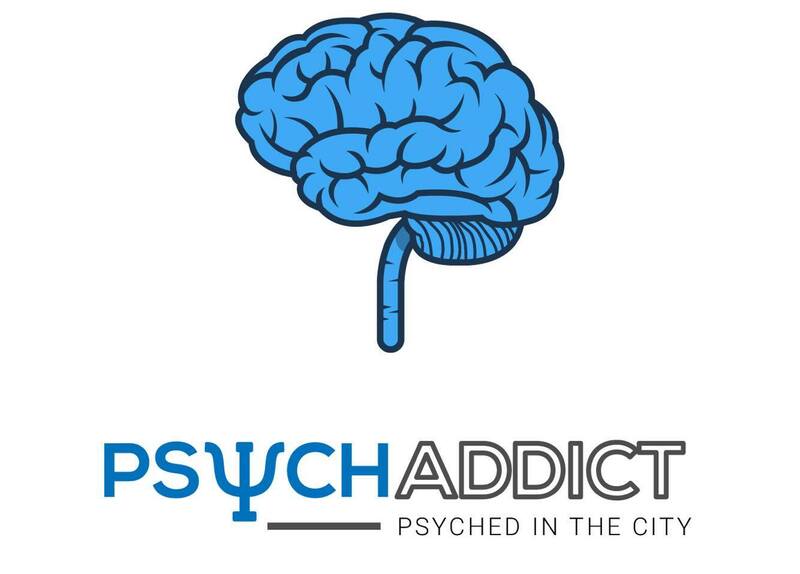 Some schools that offers AB or BA in Psychology are not offering some subjects like Abnormal Psychology and Theories of Personality since their school officials believe that those subjects were meant for BS Psychology majors. 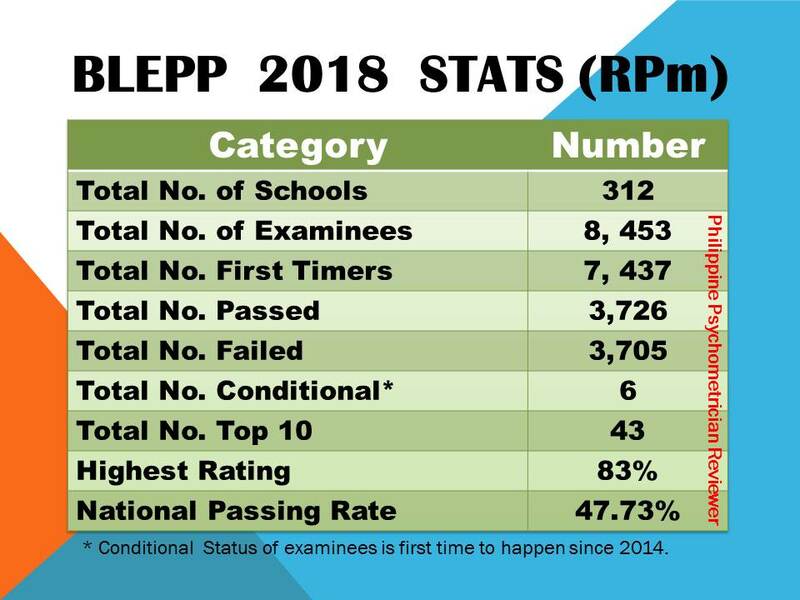 So for those students whose schools are not following and implementing this CHED Policies and Standards, inform your school and better inform also or complain to CHED about your school practice so it will be corrected. 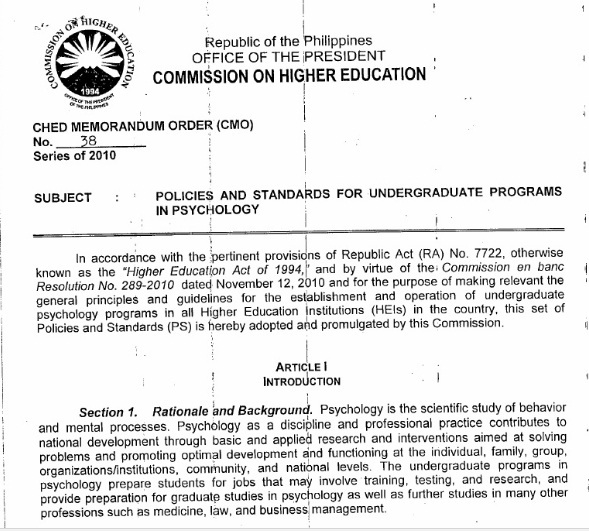 You deserve to take up those required subjects as stated in the CHED Memo whether you are taking up AB/BA or BS Psychology course to guarantee you the opportunity to take the licensure exam. 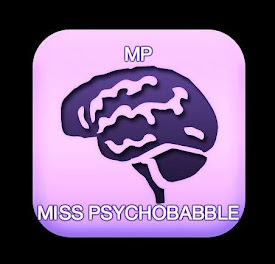 With regards to those who have taken up their MA or graduate course in Psychology those who specialized in Industrial Psychology mostly have to take up additional subjects (Counseling and Psychotherapy and Advance Abnormal Psychology) just to take up the licensure exam for Psychologists. Given their specialization most of them were not able to do clinical practice/internship given their field of exposure which is an industrial setting. 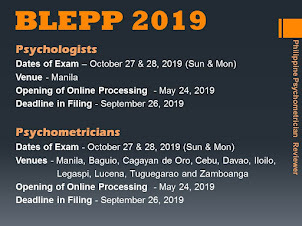 With this licensure exam for psychologists some undergraduates are pursuing graduate studies and specializing in Clinical Psychology. 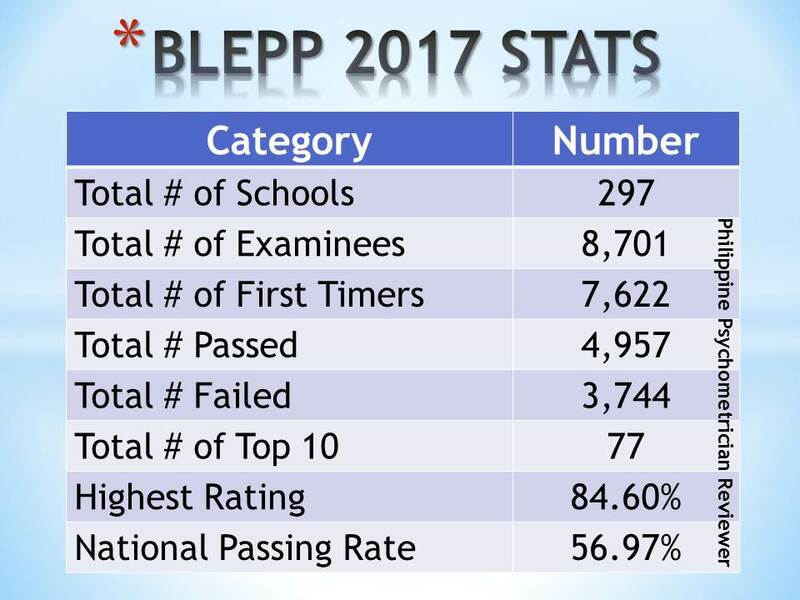 Graduate schools that offers Psychology Programs are now experiencing an increase in their enrollment since the introduction of the BLEPP.